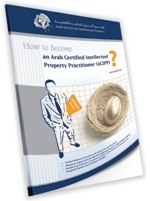 The Arab Society for Intellectual Property status booklet contains information on ASIP’s foundation, and the main rules and regulations which govern the society’s objectives, membership terms and conditions, the organizational structure of the society and in case of the termination of the society which steps should be taken. 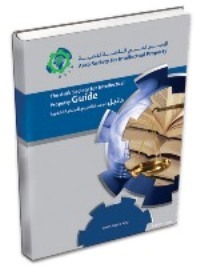 The Arab Society for Intellectual Property Guide contains information on ASIP’s foundation, and the objectives and ambitions upon which it was founded. It describes membership and ASIP activities and accomplishments. The brochure contains a briefer version of all information provided in the Guide. 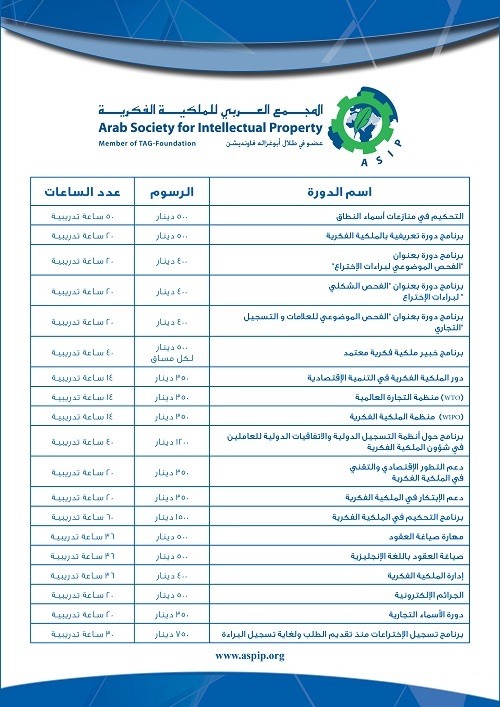 ASIP’s guide contains all the training courses that the society holds in the different fields of intellectual property, including the Arab Certified Intellectual Property Practitioner program courses, as well as a list of the specialized short term courses which ASIP holds as per the request of institutions, ministries and governmental parties. Either by holding them as training courses or through seminars and conferences according to what the institutions demand, and during the time period which is appropriate for them. This book was issued at a time when international were becoming more strict. 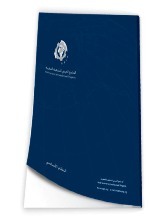 This is the second edition of this Guide, and it was issued in response to the demands and proposals received from those who benefited from the first edition. 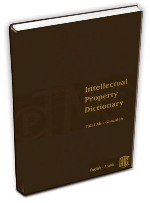 It further addresses important aspects of the matter for those who work in foreign or are interested in it.